Gold color. Aromas of poached pear, honey, sticky toffee pudding, heather, spun sugar, and bay with a satiny, crisp, dry-yet-fruity light-to-medium body and a smooth, delightful, medium-long grilled bell pepper, smoked peach, crispy brownies, and aniseed finish. A rich and satisfying blended scotch with a stealthy lining of peat. Bottom Line: A rich and satisfying blended scotch with a stealthy lining of peat. 90 • Dalwhinne 15 Year Old Single Malt Scotch Whisky 43% (Scotland) $65.00. 95 • Johnnie Walker Blue Label Ghost & Rare Blended Scotch Whisky 46% (Scotland) $399.00. 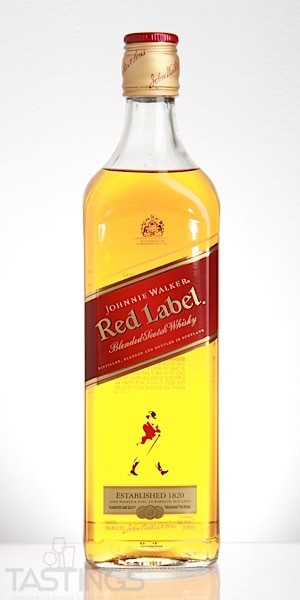 88 • Johnnie Walker Red Label Blended Scotch Whisky 40% (Scotland) $25.00. 93 • Lagavulin 8 Year Old 200th Anniversary Single Malt Scotch Whisky 48% (Scotland) $59.99. 95 • Lagavulin 16 Year Old Single Malt Scotch Whisky 43% (Scotland) $90.00. 92 • Oban 14 Year Old Single Malt Scotch Whisky 43% (Scotland) $75.00. 94 • Oban 18 Year Old Single Malt Scotch Whisky 43% (Scotland) $180.00. 91 • Oban Little Bay Single Malt Scotch Whisky 43% (Scotland) $60.00. 95 • Talisker Storm Single Malt Scotch Whisky 45.8% (Scotland) $66.00. 93 • Talisker 10 Year Old Single Malt Scotch Whisky 45.8% (Scotland) $60.00. 87 • The Naked Turtle White Rum 40% (St. Croix) $12.99. 90 • THE SINGLETON 12 Year Old Single Malt Scotch Whisky 40% (Scotland) $35.99. 89 • THE SINGLETON 15 Year Old Single Malt Scotch Whisky 40% (Scotland) $49.99. 94 • THE SINGLETON 18 Year Old Single Malt Scotch Whisky 40% (Scotland) $79.99. Blended Scotch whiskies require a mix of dozens of different malt whiskies to be combined with grain whisky in order to create the desired blend. The individual percentages of each malt whisky may be small, but each contributes its unique character to the blend. A blender will thus need to buy or produce a large amount of different malt whiskies in order to maintain the consistency of the blend. 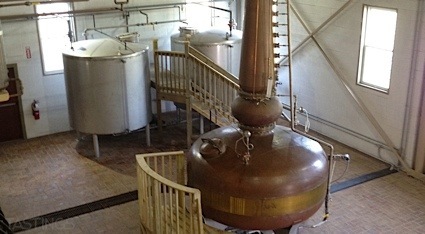 Thus, for a malt whisky distillery, the single malt may get all of the glory, but the blends ultimately pay the bills. Johnnie Walker Red Label Blended Scotch Whisky rating was calculated by tastings.com to be 88 points out of 100 on 12/18/2018. Please note that MSRP may have changed since the date of our review.